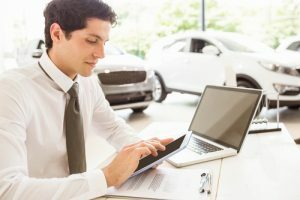 Revamp older blog posts for SEO to get more “bang for your buck” and make them relevant for today’s car buyers. Gather interesting content about vehicles, maintenance, car care, etc., from other sources to share with your online readers. Include links to other websites on your blog posts that provide valuable information for readers. Give more value to your online content by utilizing the word “because” in the text. YouTube videos with engaging descriptions (around 200 words or so) drive more traffic to your site. Long-tail keywords should be used in title tags to drive traffic. Wikipedia is an excellent source for locating appropriate keywords and interesting blog topics. Longer content is preferred by Google because it is more apt to contain relevant information that is of interest to browsers. Obtain backlinks by contacting article writers to be included in their list posts. Since SEO can be time-consuming and involved, consult a marketing expert for advice on best practices or to implement the strategy for you. When done correctly, all of these will contribute to your success as a dealership. If these seem like they may take more time and resources than you can handle on your own, let us do the heavy lifting for you. For proven success with SEO marketing strategies for car dealers, speak with one of our marketing professionals at Top Marketing Agency by calling (888)843-9840. We deliver outstanding results for our clients.